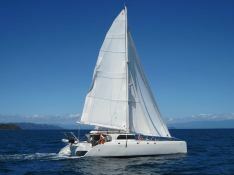 The trimaran 52 is a magnificent catamaran, sleeping 6. The interior design is symbol of a luxurious comfort. 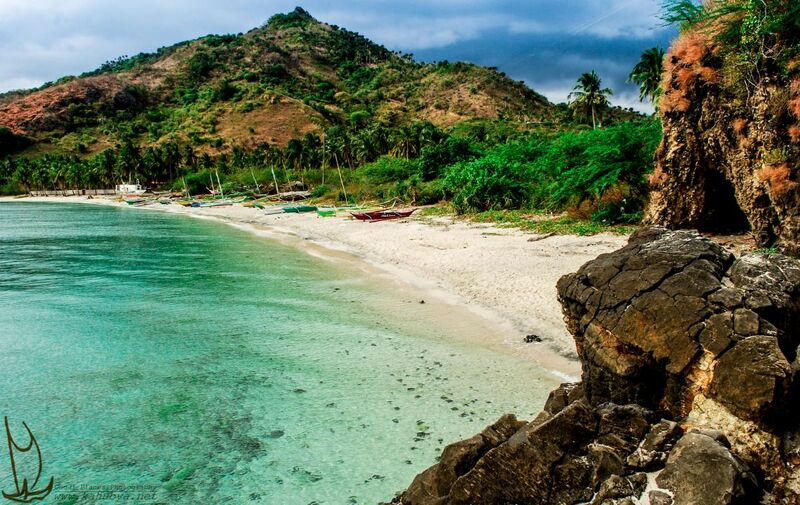 On top of that, the shallow draft makes available some previously inaccessible cruising areas. Some of its strong points are its spacious cockpit, a bright saloon, and luxurious cabins. 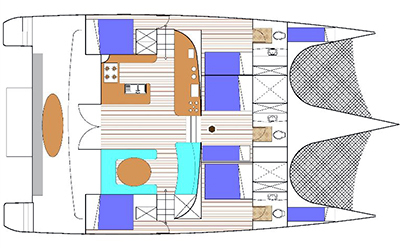 This Trimaran 52 welcomes up to 6 passengers on board to explore the Madagascar. This catamaran can reach a speed of 10 knots. This Trimaran 52 available for yacht charter in Madagascar, is fully equipped with equipped galley, generator, solar panels, watermaker and also fishing equipment, kayak, CD and DVD for leisure. 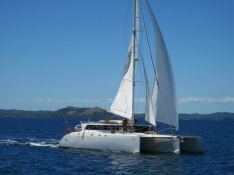 This crewed catamaran is available for yacht charter with a base price of 6 300 € (approximatly 7 105 $).